A nautical wedding theme has always been a classic choice for many bride-to-be’s. While this theme has always been around, it has recently reappeared on the bachelorette party scene with a fresh new take. Bachelorette’s are hitting the high seas with hilariously entertaining apparel to send their bride off into the marriage abyss and that’s exactly what this crew did with their Nauti Girls bachelorette party shirts! Boats, anchors, and nauti girls – ahoy! Bridal Party Tees has a huge selection of designs dedicated to the nautical theme ready for you to customize. These bride-mates found a design that they liked and combined it with their favorite style of clothing to create the perfect nauti girls bachelorette party shirt. Our easy-to-use design center makes it incredibly easy for any user to create exactly what they want. We salute these savvy lassies and applaud their creativity! What is your favorite nautical saying or slogan? Share your thoughts and pictures with us via Facebook, Twitter, or Instagram @bridalpartytees! 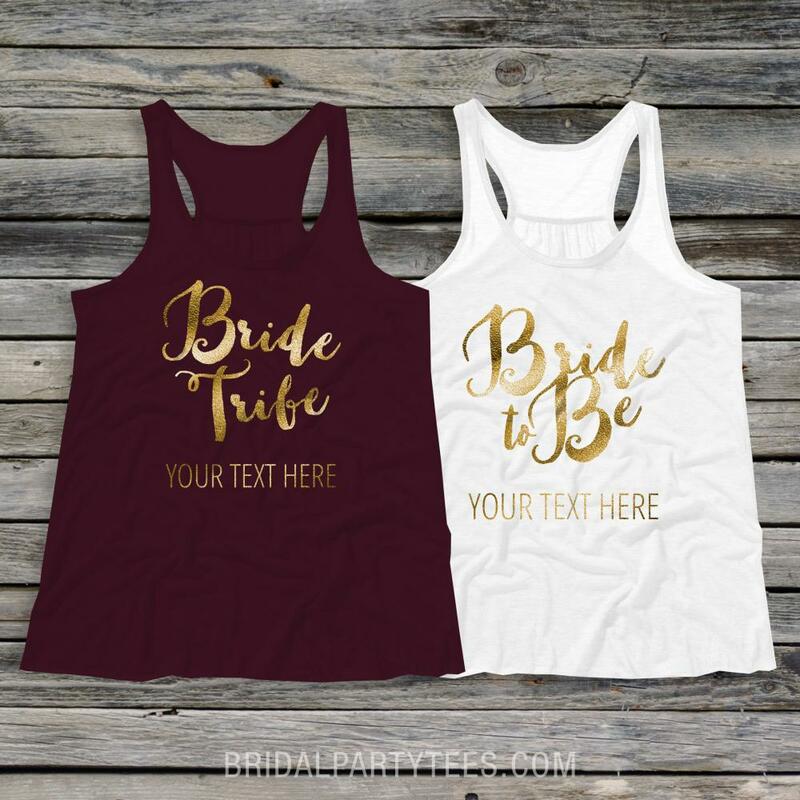 Get custom gifts for everyone in your bridal party this holiday season. Use coupon code below to save! Use coupon code BPT7DEC at checkout and get $5.00 off orders of $40.00 or more! Offer expires 12/31/2017 at 11:59PM EST.